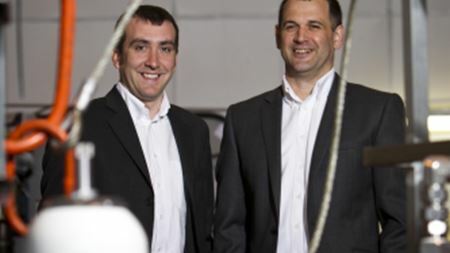 Precision Pumping & Metering has secured a six-figure contract with engineering and project management services company AMEC in the North Sea. Bürkert presents the third generation of its solenoid control valves with Types 2871, 2873 and 2875. Wolfhart Industries has launched a new production line with the first oil-free, high pressure water pump or clean water hydraulic motor, respectively. India’s WPIL, through its international subsidiary WPIL International (Singapore), has completed the acquisition of PSV South Africa’s pump business. Xylem has opened a new sales and service office in Panama to provide greater customer support to the developing Latin American market. Germany’s Jung Process Systems has supplied 30 HYGHSPIN twin screw pumps to a yoghurt producer in the United States. Bedford Pumps Ltd has entered into a three-year framework agreement with Yorkshire Water for the supply of dry well centrifugal pumps. Work has started on a manufacturing expansion at Sundyne Corp’s headquarters in Arvada, Colorado. Pump manufacturer NOV Mono is to move from its current UK base at Martin Street in Audenshaw to a larger site at Greengate in Chadderton. Grundfos has started a three-part project to recover and reduce irrigation water at its Fresno campus in California, USA. Flotronic Pumps has developed a new range of sanitary pumps for use with 3-A authorised equipment. Xylem Inc has produced two new technical handbooks, under its Flygt brand. Danish pump manufacturer Grundfos has acquired Enaqua, a US company specialising in UV disinfection and membrane filtration technology. Water technology company Xylem Inc has received an Excellence Award in Corporate Philanthropy from the Committee Encouraging Corporate Philanthropy (CECP). Flowserve Corp’s board of directors has endorsed an updated capital structure strategy designed to make the company’s financial structure more efficient.